It was in May of 1961 that President John F. Kennedy declared that the United States would do the things required to land a man on the moon before the decade was out “not because they are easy but because they are hard”. 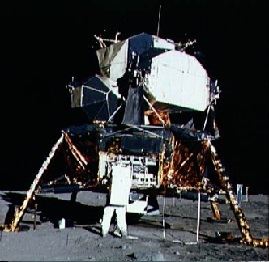 Twenty months later a contract to design and build a Lunar Excursion Module was awarded to Grumman and all of the LEMs were delivered by the end of 1966, more than two years before the first lunar landing. I am drawing attention to that particular aspect of the Apollo program because it reflects a confidence and an approach that I think is lacking in our efforts to transition to a sustainable energy environment. At the time that the LEM contract was awarded the U.S had only managed to put 3 solo astronauts into orbit, with the longest flight being less than 10 hours. There was no launch vehicle that could put three men into orbit let alone send them to the moon. There was no guarantee that humans could survive multiple days in space and there were no life support systems developed that would make such a voyage possible. In that context, was it not just a little bit crazy to commit $billions to develop a lunar landing craft so early when the entire Apollo program was in its infancy, faced with unknown risks and an uncertain end result? Eighty years before the Apollo program began the Canadian Government made a commitment to build a transcontinental railway. As with the Apollo program this project faced unknown and unknowable technical and financial risks. And yet the very first section of track laid down was in the Fraser Canyon of British Columbia, thousands of miles from the population centers in the east and very near the western end of the line. Both of these examples (and there are many others) demonstrate a recognition that it is often best to attack the most difficult engineering problems first because they may take a lot of time and effort to deal with. And in both of these situations the actions of the sponsors confirmed their belief that the problems could and would be overcome. 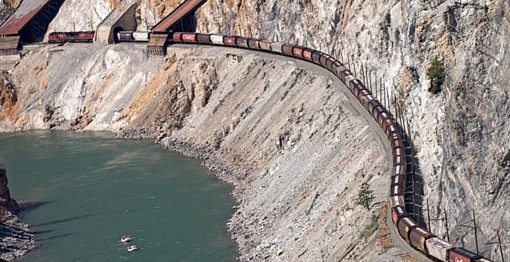 Without being able to find a way through the treacherously narrow Fraser Canyon there could be no Canadian Transcontinental railway. And without a firm commitment to completing the entire railway the Fraser Canyon section of track would have been utterly useless. Without a LEM, the first rocket-powered machine in history capable of taking off and landing as well as docking with an orbiting service module, there could be no lunar mission. And if any component of the entire Apollo program failed the LEMs would never have been used. Now fast forward to the 1980’s and consider the approach to developing renewable energy sources. The first serious effort was led by Arnold Goldman who formed the Luz Corporation to build the Solar Energy Generating Stations (SEGS) in California. Although he was a great believer in solar energy Mr. Goldman explicitly recognized that electricity is required after the sun sets and that it did not make sense to build plants that could not match supply and demand. As a result the SEGS plants are equipped with natural gas as a secondary fuel to be used on cloudy days and in the evening. Unfortunately, after Luz went bankrupt in 1991 Mr. Goldman’s common sense approach seems to have been lost. Solar and wind energy both suffer from the fact that they are not dispatchable and consequently they may generate electricity when it is not needed and they may not generate electricity when it is needed most. This is not mysterious. This is not a surprise. Bearing this fact in mind it is clear that the most important engineering task to be undertaken is to be able to store the energy from solar and wind so that it can be used when it is needed. And yes, this is also the most technically challenging aspect of transitioning completely away from the burning of hydro-carbons to generate electricity. Without reliable and affordable energy storage systems it is simply not possible to actually decommission the thermal generating plants that we have relied upon for more than 100 years. Simply reducing how much we use those plants is not good enough and in any case is not economically viable in the long run. I have written blog postings about many different storage technologies including the use of post-consumer electric vehicle batteries, flywheel technology, and compressed hydrogen. These are all technologies that are either in production use or very close. But they are also technologies that are immature and expensive requiring substantial additional funding to bring down costs. And yet, in these cases the funding is invariably very difficult to get and inadequate when it is grudgingly provided. The University of Western Michigan has not been able to get a few $million to conduct engineering studies on battery re-use. Beacon Power, developers of flywheel storage systems, went bankrupt and the company was only able to rise from the ashes because of a change in the regulations regarding quick-response backup power. The amount of money going into hydrogen storage research is also insignificant compared to the 10’s of $billions going into subsidies for rooftop solar panels and wind farms. When I have spoken to the researchers in this field they have invariably cited a lack of funding as the major stumbling block preventing significant progress. Apart from a lack of serious R&D funding support, commercialized energy storage, even in pilot projects, is very hard to configure in a way that will generate anything close to a profit. Energy storage systems are treated as “end users” by Independent System Operators (ISOs) and consequently are charged a grid access fee. There is no Feed-In-Tariff for electricity produced from storage and there are no capital grants or other incentives provided to assist in the construction of energy storage facilities (although organizations like NREL do often participate in “one off” pilot projects). Facing high costs, technical risks, access fees, and uncertain revenue streams utilities and private investors have done exactly what you might expect when it comes to commercializing energy storage solutions: almost nothing. Going back to the Canadian Railway analogy what we have been doing is laying track across the prairies at a furious pace while leaving the “hard parts” of the plan as a homework assignment to be completed later. That is an excellent way to earn a failing grade in my opinion. We need to get serious about energy storage. There is no other option. I would like to see President Obama initiate an International project aimed at developing one or more affordable energy storage technologies before the decade was out with the goal of being able to supply 100 GWe of electricity for at least 10 hours (total storage of 1 TW-Hour). Now that would be inspiring.